Czech Republic mobile and data SIM cards plus cheap international calls. Save money with our Czech Republic SIM Card. Avoid all roaming charges by acting as a local user and get your SIM card before you leave. Your friends and family can also call you from just 2p/min by using our cheap international calls service. Call Czech Republic from just 2p/min! By using our dialthrough service you can make international calls to Czech Republic from a UK landline for just 2p/min! This is perfect if people from the UK wish to call you whilst away, or if you want to call abroad. 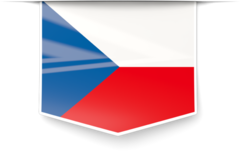 Our Czech Republic Data SIM card costs just £24.99 and includes 1GB of prepaid data. Avoid roaming charges and “bill-shock” by using our cheap Czech-Republic Data SIM Card. Use with apps like FaceTime, WhatsApp and Skype.